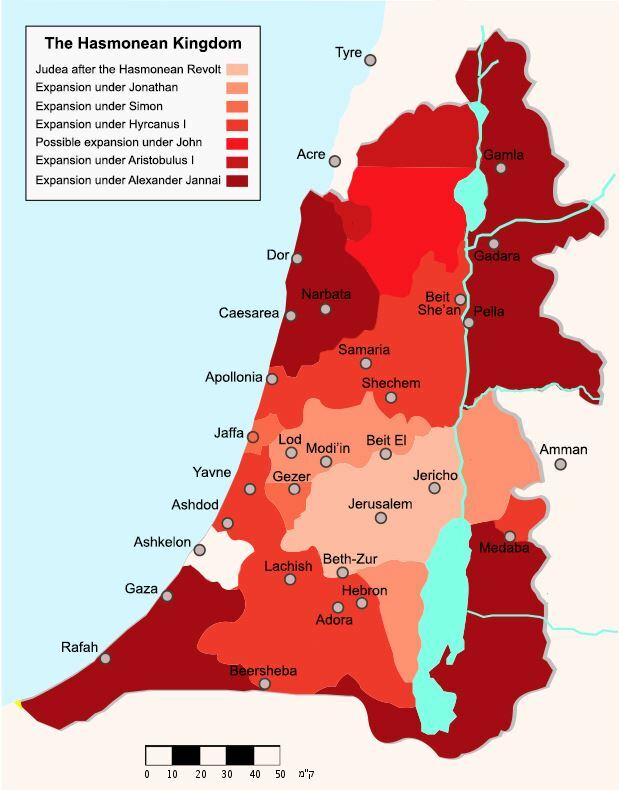 The Hasmonean dynasty was a ruling dynasty of Judea and surrounding regions during classical antiquity. Between c. 140 and c. 116 BCE the dynasty ruled Judea semi-autonomously from the Seleucids. From 110 BCE, with the Seleucid Empire disintegrating, the dynasty became fully independent, expanded into the neighbouring regions of Samaria, Galilee, Iturea, Perea, and Idumea, and took the title "basileus". In 63 BC, the kingdom was invaded by the Roman Republic, broken up and set up as a Roman client state. The dynasty survived until 37 BC, where it was replaced by the Herodian dynasty. Shortly before Herod the Great died in 4 BC, Rome joined Judea, Samaria and Idumea into the Roman province of Iudaea.